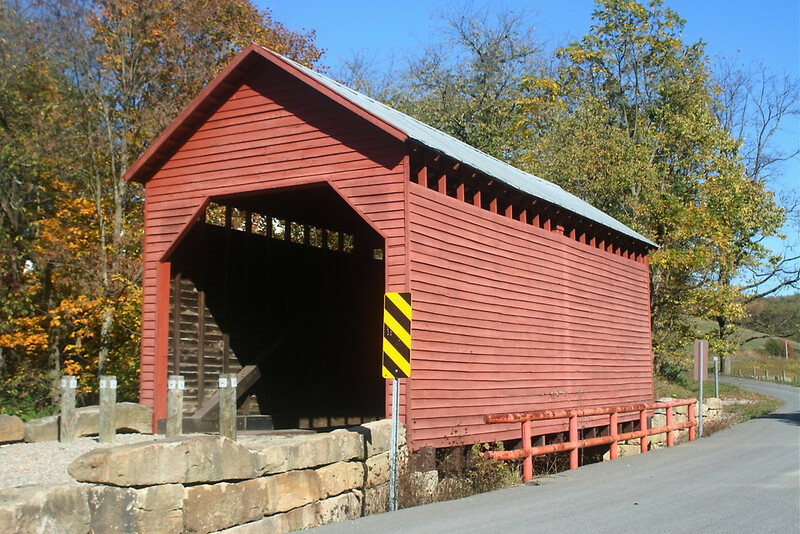 The last covered bridge standing in Monongalia County was erected in 1889 by order of Monongalia County Court; the stone abutments and wood framework construction costs totaled $448! The bridge is 40-feet long, 13-feet wide, and utilizes the Kingpost truss design. Located on US 19, at junction with County Route 43, west of Laurel Point.